Tanker trucks carrying hazardous, dangerous and/or flammable liquids and materials can create catastrophic injuries or wrongful death. Tanker truck explosion survivors usually suffer long-term serious personal injuries, disfigurement and severe burns. Extreme movement of the tanker truck's cargo load can shift the weight when the tank is not completely full, causing the rig to become unstable. Often times, catastrophic explosions of flammable loads happen when tankers roll while carrying unsteady cargo, or driving the rig at a speed too high for the conditions of the road. Not Enough Stopping Distance – The sheer size of the tanker truck and the weight of the load require enough stopping distance to maintain safety on the roadway. Inexperienced drivers, weather conditions and accidental mishaps can create serious catastrophic consequences when the driver does not allow enough distance to come to a complete stop. Unstable Tanker Maneuverability – Liquids and loose materials carried in a tanker truck can make the rig become unstable instantly, when the trucker swerves the vehicle, drives too fast, attempts to stop too quickly or attempts to maneuver the trailer and truck on uneven roads. Failing Brake Systems – Filled or empty tanker trucks can jackknife easily when the rig's air brakes failed to act as designed. Downhill breaking can heat the brake system and create unique problems when attempting to stop the tanker truck, or manage its maneuverability. Deadlines and Commitments – Trucking companies and/or the drivers moving hazardous and flammable cargo must maintain moral responsibility for keeping the public safe. However, delivery commitments and trucking company deadlines often push drivers and management to drive long hours or long distances when the driver is fatigued, tired or ill equipped to arrive safely. Operator Inexperience – Investigators often find that truck drivers involved in a tanker truck explosion were not trained properly by the trucking company on how to properly handle the rig while caring hazardous, flammable or dangerous cargo. Overloading – Cargo that is improperly balance, or overloaded for the size of the rig can create a hazardous situation where the vehicle becomes difficult to maneuver, stop in time, or handle safely on the roadway. Improperly Maintained Vehicles – Because of the hazardous nature of the cargo being carried, any improperly maintained rig can break down at the most crucial time, creating unsafe conditions for the trucker and all other motorists on the road. Equipment Failure – Braking systems, tires, axles, signal lights and other components of the truck must work properly to minimize any potential of equipment failure. Often times, investigators find manufacturing defects, design flaws or improper installation of components that cause equipment failure when the truck is on the road. Inadequate Safety Policies – It is the responsibility of the trucking company to develop, maintain and implement adequate safety policies followed by managers, supervisors, loaders/unloaders and truck drivers to ensure the cargo is transported as safely as possible. Trucking companies can be held legally liable for injuries, property damage or death occurring from a lack of safety policies. Road Hazards – Truckers involved in a tanker truck explosion have often been driving erratically, or irresponsibly, causing an accident with injuries or death. 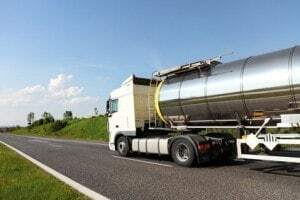 Significant road hazards including weather conditions, roadway construction, heavy traffic, and other conditions are often involved in serious tanker truck accidents. It is essential to hire an experienced tanker truck explosion lawyer to gather and maintain key evidence of an accident involving hazardous or flammable cargo. Skilled attorneys can file claims and lawsuits against all responsible parties of the explosion including the truck driver, trucking company, rig manufacturer, maintenance companies and others. Rosenfeld Injury Lawyers LLC work on behalf of victims who have been injured or suffered burns in truck explosions to recover financial compensation for medical bills, lost earnings, damages, pain and suffering. Call the personal injury law firm at (888) 424-5757 to schedule a no-obligation, free initial consultation. What type of compensation can I get for burn accidents? What legal theories can be used to recover compensation for burn injuries? What compensation can I legally recover for my burn injuries? How long do I have to file a burn injury lawsuit?